Believe it or not, training Brazilian Jiu-Jitsu two to three times a week has lots of advantages. Whether you have a busy work schedule, family matters to attend to, or your academy just doesn’t offer enough classes, then don’t fret, it can actually work to your advantage. The first rule to being successful in Jiu-Jitsu, is to be mentally and physically engaged in your classes. Many times, students who want to get better faster, will train everyday, or even five to six times a week. Sadly, they often find themselves totally burned out. 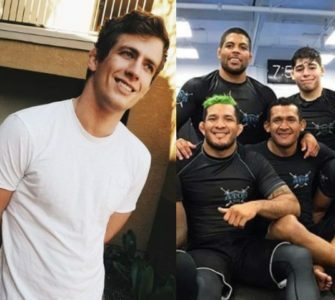 They show up to practice, and do some drilling and light rolling, but they aren’t really mentally present, since their bodies are so overtrained. 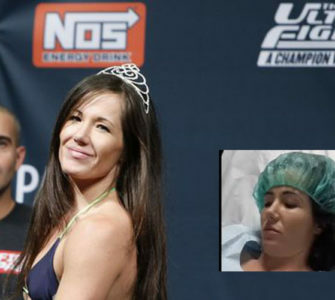 They’re so fatigued, that they’re not really “there.” Overtraining will kill your BJJ flow, and in the long run cause injuries. Training too much is sometimes not a good thing. If you’re going to make a commitment to attend practice two to three times a week, make sure you’re fully engaged in the class every time you do show up. People who are engaged are always working on something new, listening and playing close attention to advice given by their coach, or peers. 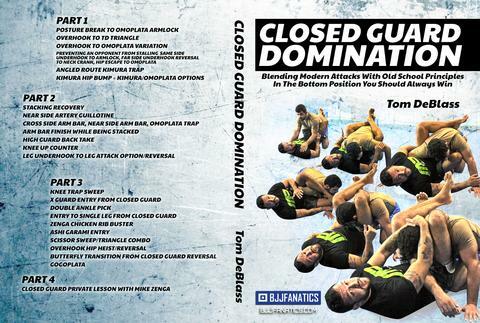 My coach gave me a great piece of advice to maintaining good posture when my opponent has me in a closed guard. I could have easily shrugged it off, and said I would work on it, and even forgotten about it. But that’s an example of an unengaged student, or someone who isn’t fully invested in their time on the mats. Of course, I gladly took my coach’s advice, and it has helped me greatly in so many instances when I roll and find myself in that position, to stay stable. Listening with an open mind is a huge element to being successful in Jiu-Jitsu. Another plus of only training two to three times a week, is that it offers you enough time to be well rested, and stay refreshed the next time you come to the gym. 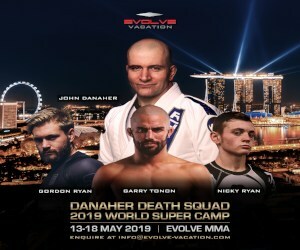 If you’re maintaining a good diet, doing some foam rolling and stretching, weight lifting, swimming, or running, then you’ll be in good shape, which is always advantageous for what is a full-body demanding sport such as Brazilian Jiu-Jitsu. This reasonable schedule will also allow you plenty of time in the week to participate in other things you enjoy. 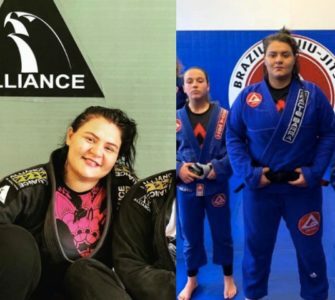 So by training less, you will have the chance to practice BJJ without picking and choosing between other activities you love. 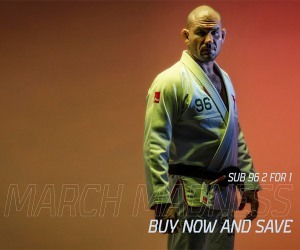 Bernardo Faria, a five-time Brazilian Jiu-Jitsu World black belt champion, advises to roll as much as you can. According to Faria, “if you have a good conditioning, [and] if your body is doing well, it’s going to help a lot.” The key to not being able to train as much is to stay invested in the sport even when you’re far from the gym. Watching some instructional BJJ videos online, reading up on some blogs, or just browsing the web for some pictures, will keep your head within the loop, so you don’t lose the flow you’ve worked hard to create within the limited amount of time you allowed yourself to train. Traveling also doesn’t mean you have to cut out BJJ completely either. It’s a perfect opportunity to be a visiting student for a day or two during your time off. Not only does this allow you to keep your pace, but you become acquainted with new coaches and teammates as well. It’s a great way to explore the international BJJ community. In the end, it’s better to show up twice a week than not show up at all. The only tougher part of attending less training is trying to remember what you learned during the week. Many reclaimed BJJ black belts swear by keeping a “BJJ log” of what you learned during your training. It will help with technique retention, and can actually help you to improve on a move, even by just visualizing it. Work on your cardio while you’re away from practice, maintain a balanced diet, and stay focused during the training sessions you can attend. With all these elements in sync, you’re sure to be on the right path. 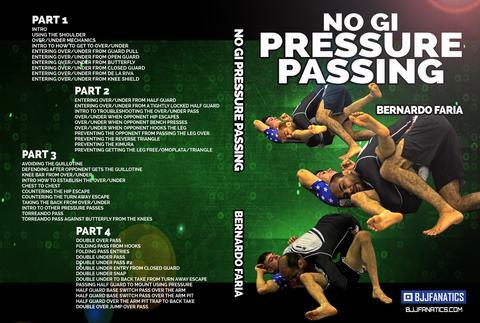 If you like smash guard passes, here is 5x BJJ world champion Bernardo Faria‘s new series, No Gi Pressure Passing. Building on the incredible success of his Pressure Passing instructionals in the Gi, this system will bring that same pressure to your No Gi game! Get it here!